With college tuition skyrocketing and jobs becoming scarce, today’s higher education market may seem like a nightmare minefield to any high school senior or other aspiring college graduate. The recession has hit people without a college education much harder than it’s hit those with at least a B.A. or Associate’s Degree under their belts. However, recent cuts in state educational funding have contributed to increased college tuition. This makes it much harder for New Hampshire individuals of modest means to achieve their dreams of higher education. Many of the listed scholarships are designed to help individuals whose means are modest, but whose passion and ambition more than make up for the circumstances of their birth. New Hampshire college grants and scholarships should be a vital part of the college application process. The average public college education in the United States costs upwards of $20,000 per year; for private colleges it is double that. With student loan interest rates going up, jobs scarce and cost of living on the rise, college applicants want to be sure to get as good a deal on their college educations as possible. The following grants and scholarships make it possible for anyone to go to college. This list contains a lot of information. It is organized according to a “Who, What, Where, When, How” scheme. “Who” tells you the organization offering it, “What” tells you what the scholarship is for as well as how much is being offered, “Where” tells you where you can use the scholarship, “When” tells you any upcoming deadline, and “How” gives you a link to the scholarship provider, if available. There are many different federal grants and scholarships, most of which may provide the majority of your college fund contribution. Some of the most commonly applied-for grants are Pell Grants and Supplemental Educational Opportunity Grants (SEOG). You may have heard of these, especially Pell Grants, as they tend to provide a sizable chunk of your college liabilities. Other forms of financial assistance such as Stafford Loans and Federal Direct Loans are commonly received. However, they are not included here because they are loans, not grants or scholarships. You will eventually have to pay them back. As far as college financial assistance goes, it is much better to receive grant money that you don’t have to pay back. When it comes to procuring a Pell Grant or SEOG, you may be able to receive up to $10,000 per year. You will have to fill out a FAFSA (Free Application for Federal Student Aid) form demonstrating your need. Unlike most grant and scholarship opportunities, these federal grants are primarily needs-based. Visit www.fafsa.ed.gov to find PDFs of the forms you need to submit for your federal student aid. There are many merit- and needs-based scholarship opportunities offered by federal government organizations. For these, the “Who” field will always be the U.S. federal government. The “When” field, if not specified, will generally be the due date of the FAFSA form, which is June 30 of the current calendar year to be eligible. Your chosen school’s FAFSA due date may lie before this date, so be sure to contact your school to know when you need to turn in your financial aid information. The Goldwater Scholarship offers up to $7,500 for students pursuing careers in mathematics, sciences and engineering at US colleges that offer those programs. You must apply by February 2 of the current calendar year to be eligible. You can find out more information at www.act.org/goldwater. The FSEOG offers up to $4000 for students who demonstrate need to attend any accredited US college. You may apply at any time by filling out a FAFSA form at www.fafsa.ed.gov. The Truman scholarship offers up to $30,000 for college juniors seeking graduate degrees in public service fields at any US college. You must apply by February 1 of the current calendar year to be eligible. You can find out more information at www.truman.gov. The Health Professions scholarship offers up to $20,000 for American Indian and Alaska Native students seeking funding for undergraduate studies in doctoral, nursing or other health-related fields at any US college. You must apply by April 1 of the current calendar year to be eligible. You can find more information at www.benefits.gov. The Javits fellowship program offers up to $30,000 for students in the arts, social sciences and humanities fields at any US college. It is a merit-based scholarship. Application deadlines vary. You may find more information at www2.ed.gov. The Lighthouse scholarship offers up to $5,000 for legally blind college-bound high school seniors, undergraduates and graduates at any US college. Application deadlines vary. You can find more information at www.lighthouse.org. The Udall scholarship offers up to $5,000 for American Indian and Alaska Native students intending to pursue studies in health care and public policy fields at any US college. You must apply by March 3 of the current calendar year to be eligible. You can find more information at www.udall.gov. The NHSC scholarship offers full tuition plus a $1,000 stipend for individuals pursuing health service careers at any US college. You must apply by the last Friday in March of the current calendar year to be eligible. You can find more information at nhsc.hrsa.gov/scholarship. The NSE scholarship offers up to $8,000 for individuals studying less commonly taught languags and cultures at any US college. You must apply by late January of the current calendar year. You can find more information at www.nsep.gov. The Pell grant offers up to $5,500 for students demonstrating financial need at any US college. Your Pell grant application must be completed at the same time as your FAFSA application. You can find more information at studentaid.ed.gov. The SMART Grant offers up to $4,000 for undergraduate juniors and seniors in physical, life and computer sciences, mathematics, technology or engineering programs at any US college. You can find more information at studentaid.ed.gov. If you would like to see a broader list of more federal programs available, visit fedmoney.org. These New Hampshire college grants and scholarships are offered directly by the state government. Most of these programs are both needs- and merit-based. Unlike the majority of federal grants, which are strictly needs-based, you will need to prove your worthiness to the state of New Hampshire before you receive money for a college education. Incentive- and scholar-based programs may require an essay, good grades and even character references to receive financial rewards. Keep those grades up, and be sure to put some thought, depth, passion and interest into your essay! 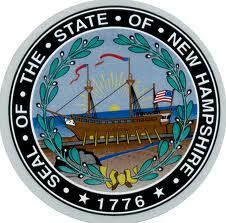 New Hampshire state grant programs are contingent upon the awardee being a New Hampshire resident. You will have to provide proof of residency on your application, which may be as simple as giving a NH address or as complex as scanning and including a state ID such as a Driver’s License. This is a partial list of New Hampshire state-sponsored grants and scholarships. It is by no means exhaustive. For these, the “Who” field will always be the New Hampshire Postsecondary Education Commission. The “Where” field will consist of any New Hampshire school. The Granite State Scholars program offers a variable amount of money for students at the top of their high school classes toward attending any participating New Hampshire colleges. You must apply through your college adviser. The Leveraged Incentive Grant program offers up to $7,500 for sophomore, junior and senior undergraduates at an accredited NH college or university. Applications may be made all year round. You can find more information at www.education.nh.gov. The NERSP scholarship offers up to $11,000 for students attending any New England colleges. Applications are accepted year-round. You can find more information at www.nebhe.org. The NHIP scholarship offers up to $1,000 for New Hampshire undergrads at the top of their class demonstrating financial need to attend any NH college. You must apply by May 1 of the current calendar year to be eligible. You can find more information at the program’s web page. The Orphans of Veterans scholarship offers up to $2,500 to college-bound students, undergraduates or graduate students between 18 and 24 who are a direct descendant of individuals who died in World War I, II, the Korean, Vietnam or Gulf Wars. You may apply year-round. You can find more information at the scholarship’s web page. The Veterinary Grant scholarship offers up to $12,000 for New Hampshire residents currently enrolled in a veterinary science degree at Cornell or Tufts University. Application deadlines vary. You can find more information at the program’s web page. These scholarships are not tied to state aid, and they tend to be somewhat more specific when it comes to your field of study and level of interest. They are generally awarded by charitable foundations, businesses and private individuals. This list may seem like an enormous undertaking, but if you get into a good application routine, you can knock them out pretty quickly. Private scholarships will comprise the bulk of work that you do to fund your college education, while they may only net you about 50-60% of your overall take. Nevertheless, private scholarships are an integral part of ensuring your college education. Your success in acquiring private scholarships and grants will lie in your ability to present your passion for your education on paper. Your grades will need to reflect your commitment to academia, and your essays will need to show that you are thinking about both your future and the professional topics and fields of which it will consist. Because one or more people will look at your applications more in-depth, you will need to put good effort into the scholarships you write. People give scholarships because it is the best way they can think to help the world. Your essay needs to prove yourself worthy in their eyes and in the eyes of the world. You may need to spend many hours crafting and finely tuning this base essay. It is the most important part of the applications you will send, so be sure to give it some good loving care. However, don’t get too caught up in it. One lesson from a professional writer: you need to be able to say, “this is finished.” Writing is a skill used by many college graduates nearly every day in their professional lives, and the capacity to finish things is one of the most important. Give yourself AT MOST 8-12 hours to outline, write and rewrite, then use whatever you have. Finally, many of the requirements for scholarships are the same, including “get good grades” and “demonstrate financial aid.” You should go about choosing private scholarships by looking at websites and seeing which ones appeal to you. What does the scholarship provider represent? If in doubt, send the application. Once you have a solid base essay, you will be able to fill out four or five grant and scholarship applications in an hour. When you consider that each scholarship might give you, on average, $500-1,000 to go to college, this is a relatively small time investment. Even if you only achieve 5% success, you will be making $125-250/hour to save toward your college education. To put it in perspective, the average entry level job makes about $8-10/hour. Do the math, and you’ll realize that the hard work you put into getting grants and scholarships will be far more beneficial in the long run. This comprehensive list is designed to be your one-stop shop for private grants and scholarships in the state of New Hampshire. Visit the links, find the applications, and either submit them online or print them out and mail them in. Good luck! The Abbie Sargent scholarship offers $400-$500 for 1-3 New Hampshire resident students with good grades and financial need studying agricultural topics at any NH college. You must apply by March 15 each year to be eligible. You can find more information at www.nhfarmbureau.org. The Alfred and Susan Chan scholarship is offered by the Philipino American Association of New England. It consists of up to $250, given to one Filipino-American New Hampshire freshman undergraduate currently attending any New Hampshire school. You must apply by July 15 of the current calendar year to be eligible. You can find more information at www.pamas.org. The Allen Plumb Scholarship is offered by the New Hampshire Land Surveyors Foundation. It consists of up to $2,000, given to undergraduate and graduate sophomores, juniors and seniors enrolled in forestry programs with the intent to become professional land surveyors at any NH college. The award is based on academic achievement. You must apply by November 5 of the current calendar year to be eligible. You can find more information at www.nhlsa.org. The Aurand Harris Award is offered by the New England Theatre Conference. It consists of $1,000 toward studies at any NH college. Applicants must submit a full-length play for a young audience. You must apply by May 1, and you may find more information at www.netconline.org. The LEAP scholarship, given by the Bank of New Hampshire and the New Hampshire Charitable Foundation, offers up to $2,500 for college seniors with demonstrable need and strong academic achievement, volunteer record and work experience. It may be applied toward tuition at any NH college. You must apply by March 25 of the current calendar year to be eligible. You can find more information at www.nhcf.org. The Buddy Pelletier scholarship offers up to $1,000 for high school seniors and current undergraduates attending any NH college who are also members of the New England surfing community. You must apply by June 1 of the current calendar year to be eligible. You can find more information at buddy.pelletier.com. The New Hampshire Charitable Foundation offers this scholarship of up to $3,500 for dependent students under 24 years of age currently attending any vocational or technical school. No BA-seekers. You must apply by June 1 of the current calendar year to be eligible. You can find more information at www.nhcf.org. Citizens Bank offers a scholarship of up to $1,000 for high school students seeking enrollment at any 2- or 4-year college in New Hampshire. You must apply by April 15 each year. You can find more information at www.nhcf.org. The Doris L. Benz Trust offers up to $5,000 toward tuition at any NH college for Sandwich residents who graduated from Interlakes High School. You must apply by May 2 of the current calendar year to be eligible. You can find more information at www.nhcf.org. The Dunkin Donuts scholarship offers up to $2,000 for NH seniors enrolling in a postsecondary institution for the purpose of studying business, hospitality or food service. It also offers up to $5,000 for seniors enrolling at the Whittemore School at the University of New Hampshire. You must apply by April 15 of the current calendar year to be eligible. You can find more information at www.nhcf.org. The Edwina Foye Award is offered by the Foundation for Seacoast Health. It consists of up to $5,000 for a graduate student pursuing a health-related degree at any NH college in or near: Portsmouth, North Hampton, Greenland, Rye, Newington, New Castle, New Hampshire; or Kittery, Eliot, or York, Maine. Application deadlines vary. You can find more information at ffsh.org. The New Hampshire Charitable Foundation and a private fund offer up to $2,000 for academically inclined students pursuing natural resources or horticultural degrees at any NH college. You must apply by early April of the current calendar year to be eligible. You can find more information at www.nhcf.org. The Fisher Cats Foundation offers up to $2,500 for student athletes who demonstrate excellent citizenship, academic achievement and athletic prowess. Applicants must be planning to attend community college, technical school or a four-year institution in New Hampshire. You must apply by April 15 of the current calendar year to be eligible. You can find more information at www.nhcf.org. The Gregg Foundation Grant offers up to $400 for physically, mentally or emotionally disabled students attending or planning to attend at any NH college. Applications are accepted quarterly in mid March, June, September, and December. You can find more information at www.crotchedmountain.org. The American Radio Relay League Foundation offers the Lawson Memorial Scholarship. This scholarship consists of up to $500 for students with a general ham radio license pursuing a bachelor’s or graduate degree in electronics or electrical communications at any New England college. You must apply by February 1 of the current calendar year to be eligible. You can find more information at www.arrlf.org. The American Occupational Therapy Foundation offers the Mary Eileen Dixey Scholarship. It consists of up to $2,000 for American Occupational Therapy Association members enrolled in Associate’s or Master’s Degree occupational therapy programs at any college with the appropriate program. You must apply by December 4 of the current calendar year to be eligible. You can find more information at www.aotf.org. The Mary Felicia Falzarano scholarship consists of up to $1,500 for Residents of Bradford, Croyden, Goshen, Lempster, New London, Newbury, Newport, Springfield, Sutton, Sunapee, Warner or Wilmot counties, ages 17-23, enrolled in or planning to attend college in NH. FAFSA submission is required. You must apply by mid-April of the current calendar year to be eligible. You can find more information at www.nhcf.org. The Medallion scholarship, given by the New Hampshire Charitable Foundation, offers a variable amount of money to individuals who plan to enter the manufacturing sector immediately following graduation from their vocational or technical school programs in New Hampshire. No BA/MAs. Application deadlines vary. You can find more information at www.nhcf.org. The Monsignor Philip Kenney scholarship is provided with cooperation from the New Hampshire Charitable Foundation. It offers up to $2,500 for Hispanic students with demonstrable financial need, academic strength and work experience. A FAFSA submission is required. Money may go toward tuition at any NH community college, vocational school or four-year degree program. You must apply by Mid-April of the current calendar year to be eligible. You can find more information at www.nhcf.org. The NAWIC Scholarship, offered by the National Association of Women in Construction-Granite State Chapter #218, offers a variable amount of money for women in their junior or senior year of college who intend to work in the construction industry immediately following graduation. Degrees must be in a construction-related field (engineering, electrical, carpentry, plumbing, etc.) at any NH school. You must apply by April 1 of the current calendar year to be eligible. You can find more information at www.nawicnh.com. The American Radio Relay League Foundation offers the FEMARA scholarship. It consists of $1,000 for any ham radio technician attending or about to attend any New England college. You must apply by February 1 of the current calendar year to be eligible. You can find more information at www.arrlf.org. The Adult Student Aid program, run by the New Hampshire Charitable Foundation, offers $100-$1,500 for as many as 200 adult undergraduates with demonstrable financial need seeking higher education at any NH college. You must apply by May 15, August 15, or December 15 of the current calendar year to be eligible. You can find more information at www.nhcf.org. The Statewide Student Aid Program, run by the New Hampshire Charitable Foundation, offers $500-$3,500 to undergraduate students between 17-23 as well as graduate students of any age attending any NH college. You must apply by By April 15 of the current calendar year to be eligible. You can find more information at www.nhcf.org. The Opechee Garden Club Scholarship offers up to $1,000 for students living in the Greater Lakes Region pursuing a postsecondary degree in Horticulture, Landscaping, Environmental Conservation, Agriculture or Botany at any NH school. You must apply by By April 15 of the current calendar year to be eligible. You can find more information at www.opecheegardenclub.com. The PLAN Scholarship offers up to $5,000 for undergraduates at any NH college. Applicants must study the disciplines of architecture, civil engineering, interior design or public art, and they must demonstrate intent to work in a field aimed at improving public space in New England. You must apply by By April 20 of the current calendar year to be eligible. You can find more information at www.plannh.com. The McDonough Scholarship offers a variable amount to a New Hampshire student attending any NH school who is also an employee at a New Hampshire golf course. You must apply by June 1 of the current calendar year to be eligible. You can find more information at mcdonough.nhgolf.com. The Ross-Fahey Scholarship offers a variable amount to graduate students enrolled in New England colleges. Applicants must show significant volunteer experience. You must apply by October 1 of the current calendar year to be eligible. You can find more information at www.cappex.com. The New Hampshire Charitable Foundation runs the Seacost Scholars Program, which offers a variable amount to individuals in one of 37 NH towns who are attending a full-time post-secondary program in New Hampshire. Visit here for a list of eligible towns. A FAFSA form is required. You must apply by Mid-April of the current calendar year to be eligible. You can find more information at www.nhcf.org. The Humane Society of the United States is offering the Shaw-Worth scholarship to New Hampshire students attending any New England college. It consists of $2,500 given to New England high school seniors who demonstrate leadership in the field of animal advocacy or protection. You must apply by March 25 of the current calendar year to be eligible. You can find more information at www.hsus.org. The Phillips Scholarship offers $3,000-$10,000 to exemplary first-time college students enrolled in demanding courses of study at any New England college. You must apply by April 30 of the current calendar year to be eligible. You can find more information at www.phillips-scholarship.org. The Steven Cutter Award is offered by the Foundation for Seacoast Health. It consists of up to $5,000 for an undergraduate student pursuing a health-related degree at any NH college in or near: Portsmouth, North Hampton, Greenland, Rye, Newington, New Castle, New Hampshire; or Kittery, Eliot, or York, Maine. Application deadlines vary. You can find more information at ffsh.org. The Switzer Scholarship consists of a variable amount given to graduate students in any Earth Sciences program at any New England college. You must apply by April 2 of the current calendar year to be eligible. You can find more information at switzernetwork.org. The Desjardins Scholarship is offered by the New England section of the Institute of Transportation Engineers. It consists of a variable amount of money given to civil engineering undergraduates or graduate students. Applicants must demonstrate interest in the field of transportation engineering field and must be attending a college in New England. Application deadlines are variable. You can find more information at www.neite.org. The Bigelow Scholarship, given by the American Nursery and Landscape Association, offers $2,000 for junior and senior undergraduate and graduate students who plan to work in the horticultural nursery industry after graduation. Applicants must attend a New England college. Application deadlines are variable. You can find more information at www.anla.org. The VTNHSRC scholarship offers up to $500 for undergraduates studying Respiratory Therapy at any New Hampshire or Vermont college offering specific respiratory therapy undergraduate degrees such as the Vermont Technical College. Application deadlines vary. You can find more information at www.vtnhsrc.org. Some of these programs may change, some may be added and some may be defunded. This list is meant as a starting point. Do more research in your chosen field of interest, and you might find some other scholarships! Keep tabs on www.nhcf.org for an updated list of scholarships offered by the New Hampshire Charitable Foundation and associated organizations. As you can see, there are hundreds of potential ways to fund your college studies. New Hampshire college grants and scholarships have been the stepping stone for hundreds of thousands of aspiring students to achieve their dreams of higher education. Apply for as many scholarships as you have the time and inclination to do, and you will be able to pay a much more reasonable cost for your college education. Get used to applying for grants and scholarships. Tuition is expected to rise year over year for the next several years, meaning it will be that much more difficult to fund your education next year. Be sure to bookmark some of these sites for future use. Good luck with your New Hampshire scholarship applications!